India faces a shortage of nearly 1.4 million trained teachers. There are over 6,400 schools in India that do not have a teacher at all. The prescribed teacher-student ratio is 1:35 however in certain regions the ratio is as high as 1:75. Across India there is substantial consensus on the urgent need for a complete overhaul of pre-service teacher education—that is, the B.Ed (Bachelor of Education) and D.Ed (Diploma in Education). While some of these envisioned changes are a significant beginning, it is still inadequate as many fundamental changes are to be made, namely : institutional, curricular and regulatory. Most standard training approaches, with their centralized determination of curriculum, cascade model of training the trainers, rigid modules and modes of interaction, have been abject failures in dealing with the issue of teacher capacity building. We offer teachers multiple modes of learning as options, including but not limited to workshops, in-school support, long term projects and exposure visits. We create platforms for peer learning and support with the proximate availability of experienced mentors and tie them together in a coherent curricular framework. We do this by having a small, distributed, high-capability teams across the districts. We believe that unless the average capacity of the existing teacher pool goes up, we will not see clear improvement in education for 20-25 years, and thus our approach includes working with pre-service (new) and in-service (existing) teachers.For the sake of coming generations, we must muster the grit to begin and sustain this effort. Every single Course in Teacher Training at Bal Utsav has been recognised by the IAO, an international quality assurance agency, working to improve educational standards all over the world. The grand plan of accredited Teachers Training Courses at Bal Utsav include Montessori, New Entrants, Pre-School and Pre-Primary classes, Pre & Primary Teacher Training Course and Diploma in Primary Education, currently, with staggered intakes for each Course announced regularly through the website. 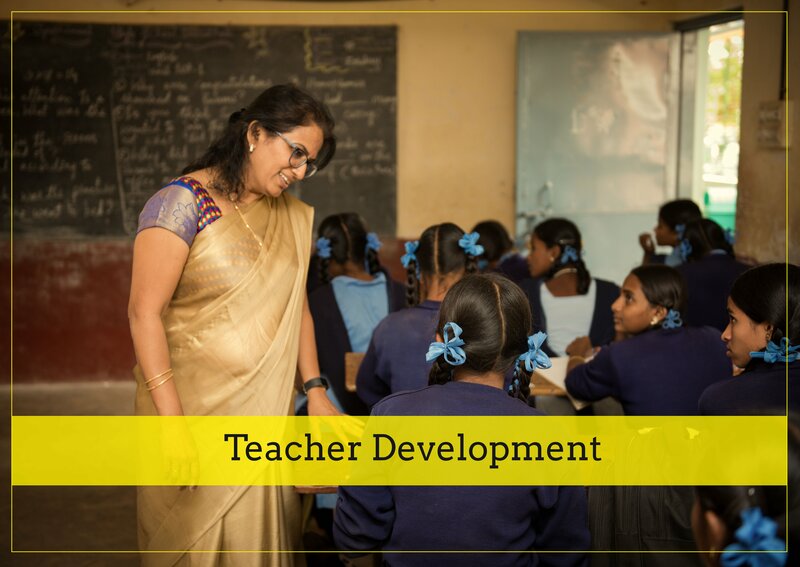 Bal Utsav also have innovative teacher training courses for those Teachers in Service who would like to upgrade their skill-sets, and update their knowledge levels on the latest modes and modalities in teaching that have been accepted worldwide. Check out Bal Utsav’s globally accredited Montessori Teachers Training Course that has two options – Regular and Distance Education mode. Now you can become a Montessori teacher without missing a minute of work ! Our international accreditation also ensures that as an accredited institute of IAO, we undergo a continuous improvement process to develop modern curricula, tailored to the students’ specific requirements.